Then we were told in July that we had to move. Moving even made me tackle one of my largest projects for last year: The bedroom. Honestly, my husband and I invested a lot of money in a good mattress and, for a couple years, that's all we could afford to put into the room. No bed frame, no headboard; the mattress just sat on the floor. Our nightstands were my first computer desk obviously hacked in half. We didn't even have a comforter that fitted. A couple people bought for our housewarming in 2013, but they bought Kings instead of California Kings, so neither comforter fit. We just put them both on the bed and called it good. With that in mind, can you believe that this is our bedroom now? I'm so proud of it. I sleep so much better in there, just knowing that it's well put together. The lighting is so comforting at night. 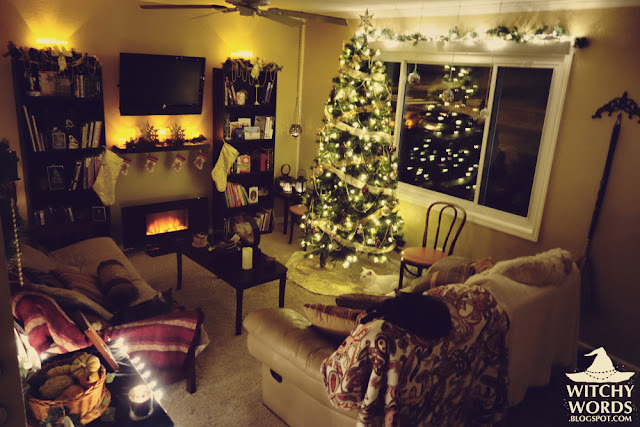 While it's a little plain and I'd like to add some details to it, like maybe some hanging plans and wall decorations, I'm really satisfied with it. 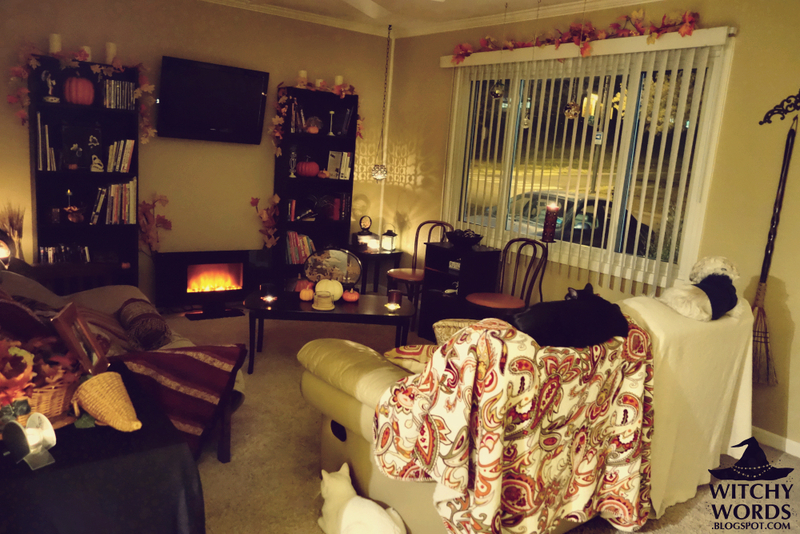 Honestly, while there's little decorative things I'd like to do with the house as a whole, I'm super happy with how everything turned out! Honestly speaking, I'm so happy with the house that I almost left this at 100%. However, there's one thing I really wanted to do. last year that I never touched. 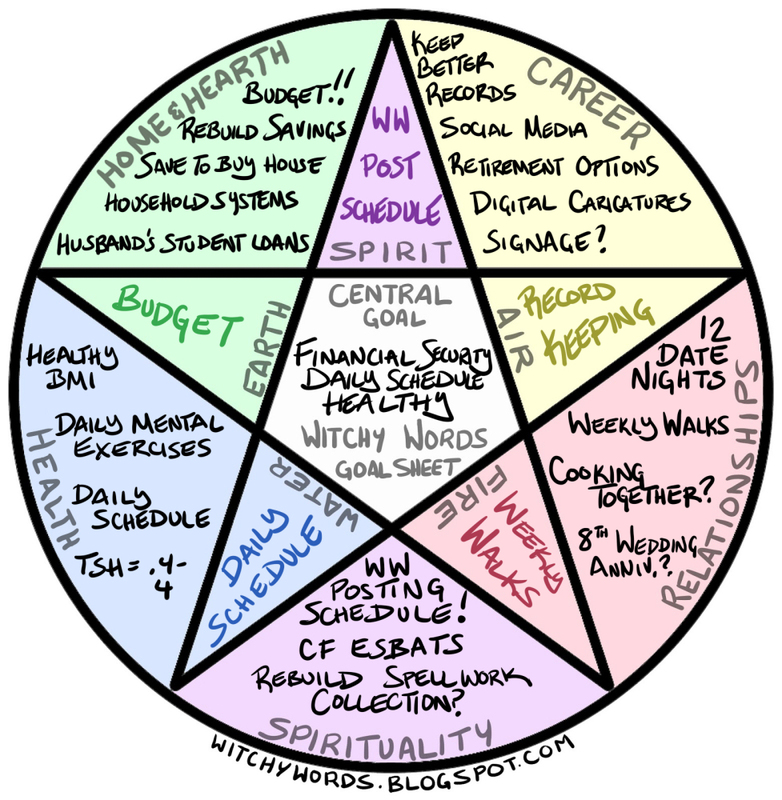 It even made it onto my pentacle chart again this year. I looked over wearily at the office closet, home to a tall Tupperware drawer system in which I literally toss every piece of important paper without regard. And I thought I was organized, pah! Clearly, there has to be a better solution, and I believe binders are absolutely it. Her website has only covered a couple of the binder topics with templates, but I think I can finish it out this year with some research! 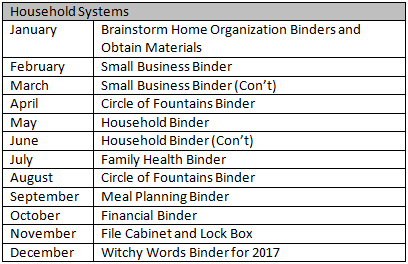 My goal is to tackle one binder or one major section each month. Here's the list! This month's goal is pretty simple: Find the binders I need and figure out how everything will be separated. That's it! That's all I have to do here this year. I'm so proud! And surprised, given everything that happened this year. 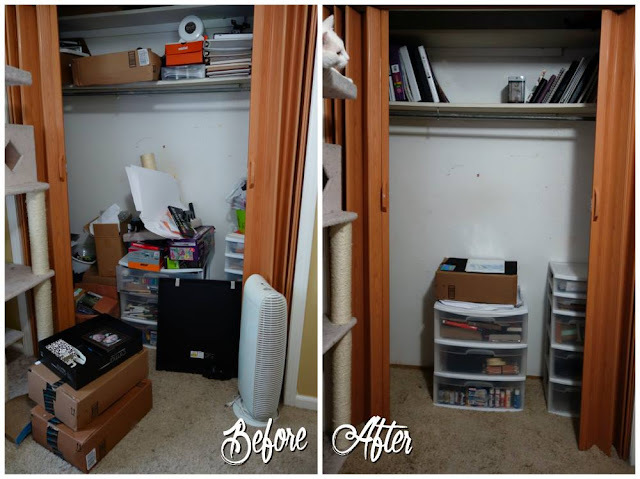 Sometimes, moving twice in a year, which makes to cull things, combined with an extreme need to nest from said moving actually culminates in some great things! Strangely enough, from the last time I really tracked my goals, I was the farthest behind in this area. And now, it's pretty much complete! I have a feeling this will give me much more room to get things done in other areas. What are your home goals for 2016? My daughter and her family are staying with me while they look for their own place. This process has carried on far longer than we first expected. My primary home goal in 2016 is to see them settled in their own place. Then my home year will start. I love your goal system! Thank you so much, Erika! I can sympathize with your situation as we've had to rely on family a number of times in our early to mid 20s. 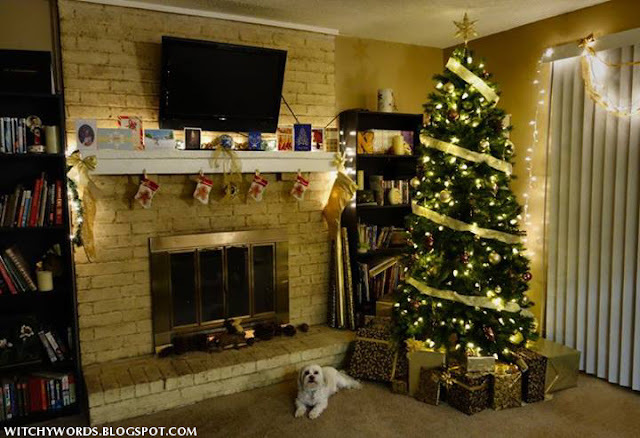 I hope your family can achieve this goal in 2016, and I wish you all the best of luck!